Road projects under the Sinohydro $2 billion bauxite deal are expected to commence in April, 2019, according to Information Minister, Kojo Oppong Nkrumah, who made this known to journalists on Sunday, March 31, in Accra. The first tranche of the Sinohydro agreement is worth $649m and under that amount several road projects are expected to be executed across the country. 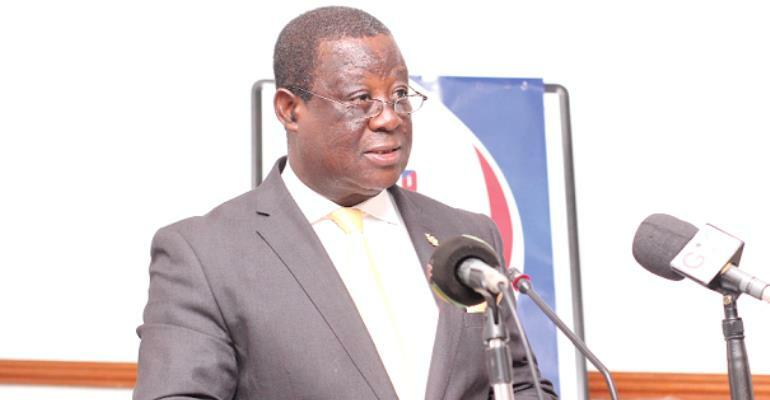 It would be recalled that the Master Project Support Agreement between the Government of Ghana and Sinohydro of China was entered into in 2017. It was subsequently approved by Parliament, and two sets of contracts according to the minister, have been laid before the Parliament. The two contracts, Mr. Oppong Nkrumah told journalists, were the “Engineering Procurement Construction contracts (EPC), Deferred Payment Agreements (DPA). DGN Online understands that the Sinohydro phase one projects include a 84km Accra inner city roads, 100km Kumasi inner city roads, one Tamale Interchange project, PTC Roundabout Interchange Project, Takoradi, 14km Adenta-Dodowa dual carriage way. Other projects include 39km Sunyani inner city roads, 32.19km Western region and Cape Coast inner city roads, upgrading of selected feeder roads in Ashanti and Western regions, rehabilitation of a 38km Oda-Ofoase-Abirem road, construction of a 66.40km Hohoe-Jesikan-Dodo Pepesu, giving a total kilometers of 441.59. For the Accra inner city roads, Ga North – Trobu is expected to get 19.03km, a 23.7km for Ga Centra – Anyaa Sowutoum, Ga East – Dome Kwabenya 21.70km, Ledzokuku – Teshie 11.3km, Nanakrom –Santeo 8.0km. In Cape Coast, there is to be the construction of three roads in Akotokyir, six roads for Amamoma Area; seven roads for Abura New Community and three roads around the Polytechnic Area. 4.1; 1.5km Nyinahin Market jxn. – Pentecost Church feeder road; 14km Nyinahini – Kyekyewere feeder road; 3km Kessekrom – Adiembra feeder road. The $2 billion Sinohydro facility is envisaged to massively boost infrastructure development across Ghana, and has seen the National Democratic Congress (NDC) apparently expressing opposition to the deal, misleadingly describing it as a loan facility instead of a barter arrangement.